When life goes wrong, we turn to prayer. When we need answers, we turn to prayer. When we feel helpless, we turn to prayer. and does it really “work”? Jesus’ Disciples asked Him this same question, “how do we pray”? Jesus taught them what is known as the Lord’s Prayer. Many Christians have memorized the Lord’s Prayer. It’s an awesome prayer, the perfect prayer really, but as with all prayers, we need to stay engaged, and not just mindlessly recite back memorized words. God wants us to talk to Him. He wants us to have a personal Relationship with Him. Some might ask, should we pray to Jesus, or to the Father?? I’m not sure it matters since Jesus told us many times that He and the father are “One” (Echad). John 14: 8: Philip *said to Him, “Lord, show us the Father, and it is enough for us.”9 Jesus *said to him, “Have I been so long with you, and yet you have not come to know Me, Philip? He who has seen Me has seen the Father; how can you say, ‘Show us the Father’? 10 Do you not believe that I am in the Father, and the Father is in Me? Jesus is the Express Image of the Father, so praying directly to Jesus is exactly the same as praying to the Father. This also applies to Worship. When we Worship Jesus, we are worshiping the Father in Heaven. They are One. It therefore doesn’t matter whether we pray to the Father or the Son because they are One. When we pray, we want to pray in the Name of Jesus because He tells us that whatever we ask for in His Name, it will be done. Our own names are not important, the only Name that can move Heaven and Earth is the Name of Jesus. When we repent of sins, Believe that Jesus shed His Blood to cover our sins (substitution principle), and that He rose from the Dead in Victory, then His Holy Spirit takes up residence inside of our bodies. The Holy Spirit is our teacher, helper, and guide. Therefore, even though our own names carry no weight in Heaven whatsoever, the Name of Jesus carries all the weight, and HE literally lives INSIDE of Believers. For this reason, we can pray in His Name, and we will receive according to His Will. John 14: 13 : Whatever you ask in My name, that will I do, so that the Father may be glorified in the Son. 14 If you ask Me anything in My name, I will do it. Now we come to a very obvious question. Can we REALLY ask for ANYTHING in Jesus’ Name and receive it?? How are we supposed to understand this? Well, there is a very important caveat..
1 John 5: 14 This is the confidence which we have before Him, that, if we ask anything according to His will, He hears us. 15 And if we know that He hears us inwhatever we ask, we know that we have the requests which we have asked from Him. In our modern western culture a name is nothing more than an identifier, really no different than being assigned a number. The Hebrew word for a name is שם (shem) But, in the Ancient Hebrews culture the “shem” is much more than just a name it is the “breath” of the individual. To the Hebrews the breath is more than just the exchange of air in the lungs it is his “character,” the internal qualities of an individual that make him unique. Praying IN THE NAME OF JESUS does NOT mean simply reciting his name at the end of any prayer, but it means praying according to His Character, according to how the Holy Spirit is directing you, according to His Will. Sometimes we know God’s Will in a matter, sometimes we’re not sure. But always, we have to understand that His Will is what matters, not ours. He is God, we are not. God’s “vantage point” is way more advanced than ours. God can see every angle of a matter. God can see the future, He knows the past, and He knows what each individual is thinking and is about to do. He understands the distant ramifications of a matter like we cannot. We must defer to His Will, always. I think of a child whose ball just rolled into the road. The child is running at full speed to retrieve the ball, but they cannot see the truck that is barreling down the road, just out of sight. If they were to continue, then the truck would run smack into them. But Jesus can see what we cannot see. He knows what we cannot know. Even the things that we can see, He sees them first, long before we’re able to see. He saw that truck coming a mile away! We wouldn’t be able to see it until it was upon us! We have to Trust that Jesus has our back, no matter what we see with our eyes. Romans 8: 28: And we know that God causes all things to work together for good to those who love God, to those who are called according to His purpose. Jeremiah 29:11: For I know the plans that I [have for you,’ declares the Lord, ‘plans for welfare and not for calamity to give you a future and a hope. This directly speaks to “Do prayers work”? Well, first of all, we can’t put God in a box. God will answer our prayers according to HIS Will. If we are praying according to His Will, then yes, we will see “answered prayer”, and we will believe that our prayers “worked”. But, if we pray according to our own will, perhaps even against His Will, then it will appear to us that the prayer did not work. However, we cannot see “behind the scenes”, and God will still use our prayers to bring about His Will in a particular matter. Though it may not happen immediately, we will eventually be able to see in Hindsight, that His Will was far better than our own, and we will Praise His Name. For now, we just have to TRUST that He means what He says. I personally think that even if we never have this “vantage point” on earth, some day, when we’re in Heaven with Jesus, we will be able to SEE what WOULD HAVE HAPPENED, had Jesus said “Yes” in a matter that was against His Will, and what DID HAPPEN because Jesus responded according to His Own Will. I think we will be AMAZED and VERY HAPPY that He answered our prayers in the manner that He did. What are the keys, then, to “effective prayer”? Forgive others when we pray. An unforgiving heart can hinder our prayers. We don’t forgive someone because they are deserving of forgiveness, but rather, we forgive because we want Jesus to forgive us! Pray according to His Word, standing on the Word of God. What does this mean? God has promises for His people all throughout the Bible. Instead of “begging” for a matter, stand on His promises. Recite them to Him in His Word. This is a very powerful prayer. Believe in His Promises. Even if we don’t know when, where, or how He will deliver them, BELIEVE that He will because HE SAYS SO in HIS WORD. (Hebrews 4:12). This book (paperback) by Jack Countryman is just $5.00 on Amazon. It is an amazing tool to have with us when we pray! 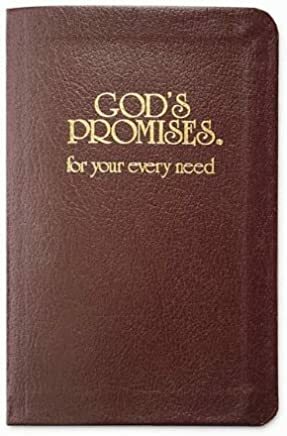 It’s a compilation of Scriptures that contain God’s Promises for US! Standing on God’s promises (Believing them, praying them back to God) will add power to our prayers! Prayer is a really important way to connect with God (YHWH/JESUS). Jesus wants us to come to Him in prayer! Like earthly relationships, the more we draw close to Jesus, the closer He will draw to us. It’s also important to remember past successes as we move forward. Look for Jesus’ hand in everything. Often, Jesus intervenes in situations, and we chalk it up to “coincidence”, or luck, or something like that. However, after seeing and witnessing some of the “coincidences” that have occurred in my own life, I recognize that there is NO such thing as a COINCIDENCE. Jesus is constantly working behind the Scenes, to bring about His Will. And what’s His Will for us? He desires to give us a future and a hope. Jesus is molding and shaping us every day, to conform us to the Image of Himself, the Son of God, the Perfect and Holy One of Israel (Romans 8:29). Even when we mess up royally, and we do, Jesus will make Lemonade out of lemons. He will literally use our worst mistakes to bring about His Amazing and perfect Will. The enemy will try to hinder our prayer time with Jesus. We must not let him. There are many ways and many places to pray to God. We should Pray wherever and whenever we feel comfortable. Pray while doing dishes. Pray in the car. Pray in the shower. Pray while taking an outdoor walk. If I’m out in a crowded room, a restaurant, I might pray silently to Him in my head (we don’t HAVE to pray “out loud”). I say a very short prayer in the morning, just basically saying “Hi” to Jesus 🙂 At night, I try to say some longer prayers, praying for people’s health, protection, provision, deliverance, salvation, what we call “intercessory prayer” for people who need prayer in various areas of their life, that sort of thing. If I’m struggling with something, I pray for direction, wisdom, doors to open or close, healing. Sometimes my prayers are just conversations, talking to the Lord about my concerns and asking Him to share His heart. When we pray, sometimes we may want to imagine Jesus sitting right next to us, in an empty chair, in the passenger seat of the car, etc. Or we can imagine picking up the phone line, and Jesus answers the phone and we have a conversation with Him. He is delighted that we called. Prayer is an intimate time between us and our Savior. We should never listen to judgmental people who might tell us “you’re not praying right”. Our prayer time is a reflection of our personal relationship with Jesus. Relax, and enjoy time with Your Creator, the Lord Jesus Christ. He enjoys spending time with each of us! Prayer is a Powerful Weapon against the darkness! Your “war Room” is anywhere you pray!